Come inside and meet my family! 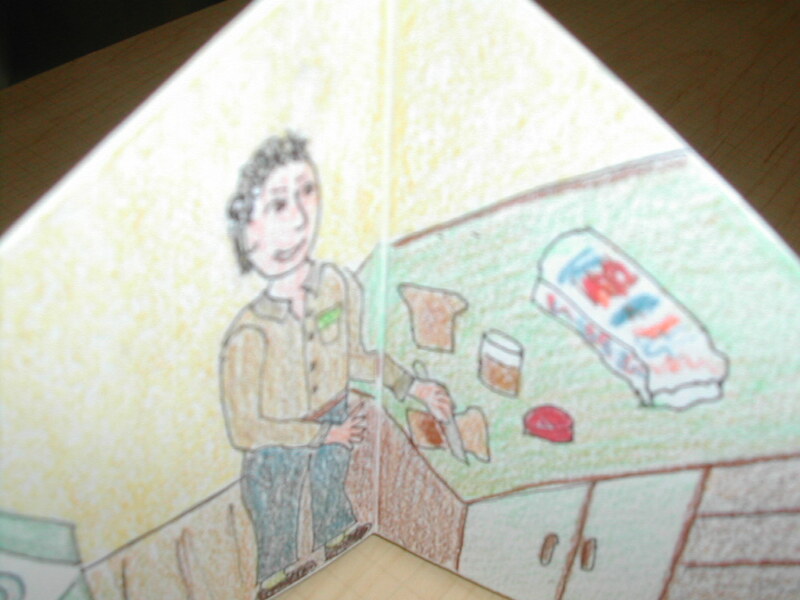 In this workshop, we'll read Norman Juster's "Hello Good-bye Window" and then build a fold-out house book to tell stories about our own family. This simple origami book, made from one sheet of paper, has two windows that lift open to reveal a hidden story or poem. In the center, a house pops open to show images of what's happening inside. 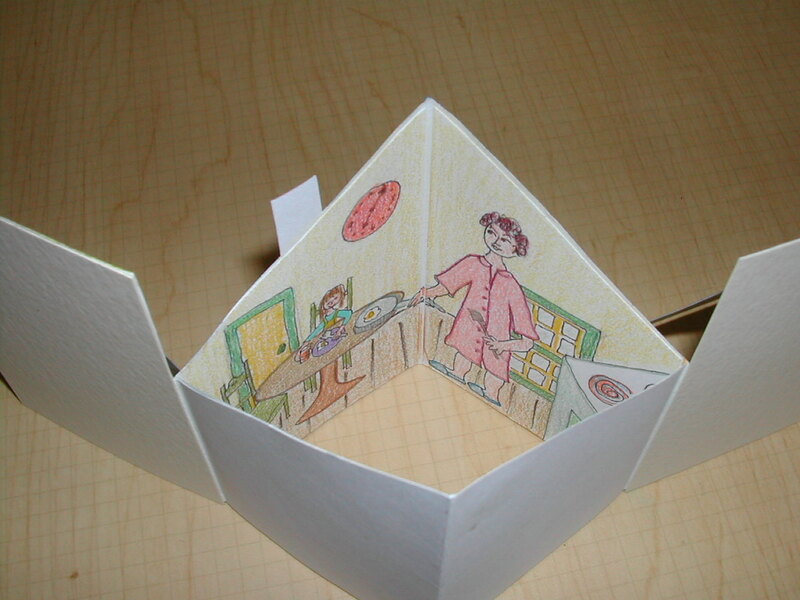 Peek inside my childhood kitchen to see Mom in her fluffy pink housecoat, serving me fried eggs for breakfast. And see my Dad, dressed in his work clothes, packing a peanut butter sandwich for his lunch. Under the window flaps, the text describes what is happening inside. My Dad packing his lunch.